ReadySCORE, combined with Surgent CPA Review’s adaptive learning-based course, has been shown to boost student CPA Exam readiness by 97%, leading to higher CPA Exam pass rates. Surgent CPA Review is proud to announce the availability of ReadySCORE™ within its CPA Exam preparation course. Powered by A.S.A.P. Technology™, Surgent’s proprietary adaptive learning platform, ReadySCORE gauges a candidate’s CPA Exam readiness across all content areas and topics, and throughout all question types, so they know when they are ready to sit for each section of the notoriously challenging CPA Exam. 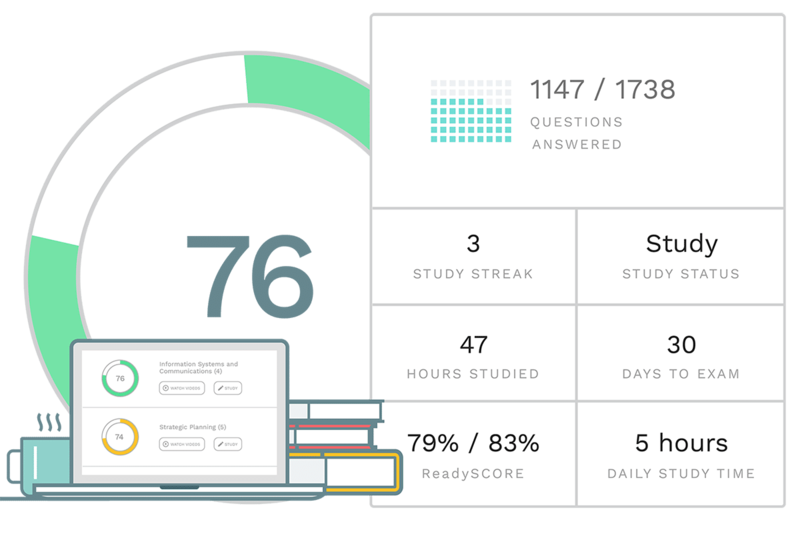 ReadySCORE is calibrated to actual CPA Exam scoring and, using a statistically significant sample of student-reported scores, has been shown to closely predict real CPA Exam scores. In fact, students’ reported CPA Exam scores are, on average, within 4% of their ReadySCORE at the time they sit for the CPA Exam. In addition, Surgent students who achieve a ReadySCORE of 75 or higher across all question types and content areas pass the CPA Exam 88% of the time. This pass rate is significantly better than the national pass rates most recently reported by the AICPA at an average of 52%. Each student’s personalized ReadySCORE is generated and tracked by Surgent’s A.S.A.P Technology. A student starts by completing a thorough assessment, which determines his or her knowledge across all CPA Exam content areas. Using this information, along with actual CPA Exam content weightings, the software determines the student’s baseline ReadySCORE. This baseline ReadySCORE is accompanied by a diagnostic report detailing the student’s unique strengths and knowledge gaps, making this an extremely beneficial step for students to take even before choosing a CPA Review provider. Based on the assessment, the Surgent course tailors a study plan unique to each user, surfacing content for each study session that is most aligned with identified skill gaps. Ongoing study plans are automatically updated by the software, based on a student’s continuing progress and performance throughout the course. Meanwhile, a student’s dashboard will automatically update to reflect his or her new ReadySCORE. Once the dashboard reflects a ReadySCORE of at least 80 across all question types and content areas, the student can feel confident that he or she is ready to sit for the CPA Exam. By tailoring the course to match each student’s knowledge gaps—rather than suggesting that students work through all the course content, as other providers do—Surgent’s course can save students up to 100 hours of study time per section. Despite studying far fewer hours than they would with other courses, Surgent students increase their ReadySCORE, on average, from 43 to 84 while studying with the course. That’s a 97% improvement in exam readiness. ReadySCORE has also been incorporated into all other A.S.A.P. Technology-based Surgent courses including: EA Review, CISA Review, CMA Review, and CIA Review.